Ans Kolk is full professor at the University of Amsterdam Business School, The Netherlands. Her areas of expertise are in corporate social responsibility, sustainable development and sustainability, especially in relation to international business. In 2009, she received the EABIS/Aspen Institute Faculty Pioneer European Award (Lifetime Achievement Award), which recognises exceptional faculty who are leaders in integrating environmental and social issues into their research and teaching both on- and off-campus. In 2016, she received the Elsevier-wide Atlas award for social impact for her single-authored article 'The social responsibility of international business: From ethics and the environment to CSR and sustainable development’. Her co-authored article ‘How global is international CSR?’ was selected as the best paper published in the field in 2017 by the International Association for Business and Society. Publications Professor Kolk has published in a range of international journals, including Journal of International Business Studies, Journal of World Business, Research Policy, Journal of Management Studies, Academy of Management Perspectives, Management International Review, International Business Review, International Marketing Review, California Management Review, Harvard Business Review, Journal of Product Innovation Management, Journal of Business Research, Organization, World Development, British Journal of Management, Journal of Business Ethics, Business and Society, Climate Policy, Business Strategy and the Environment. 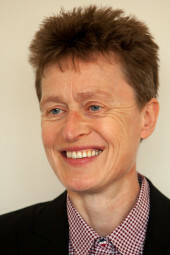 She has also written many book chapters, and published Economics of Environmental Management (Financial Times Prentice Hall) and International Business and Global Climate Change (Routledge, with Jonatan Pinkse). Professor Kolk is currently senior editor of Journal of World Business and consulting editor of Journal of International Business Policy. She serves as editorial board member for major journals in her field, including both ´mainstream´ business and specialised journals, has been regular reviewer for international journals and (co-)edited several special issues. Ans has also been involved in organisational matters (including panel/track organisation, chair and board roles, review and mentoring activities) and presented papers at various international academic conferences, including the Academy of Management, Academy of International Business, European Academy of International Business, Academy of Business in Society, International Federation of Scholarly Associations in Management. She organised academic conferences as part of the Amsterdam Global Conference of Sustainability and Transparency (Global Reporting Initiative). 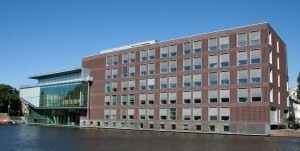 At the University of Amsterdam Business School, Ans has held several managerial roles over the years, including research director and chair of the international strategy & marketing department. Professor Kolk has participated in several international projects on strategy, organisation and disclosure related to social and environmental issues, in cooperation with different private, public and societal organisations. They have included research for national science foundations (e.g. on business and climate change; sustainable business models; poverty and inequality); for the KPMG international surveys of sustainability/corporate responsibility reporting; for the partnerships resource centre (funded by the Dutch Ministry of Foreign Affairs); and as part of externally-funded international research networks on social and environmental issues in business and management, and on transnational climate change governance.